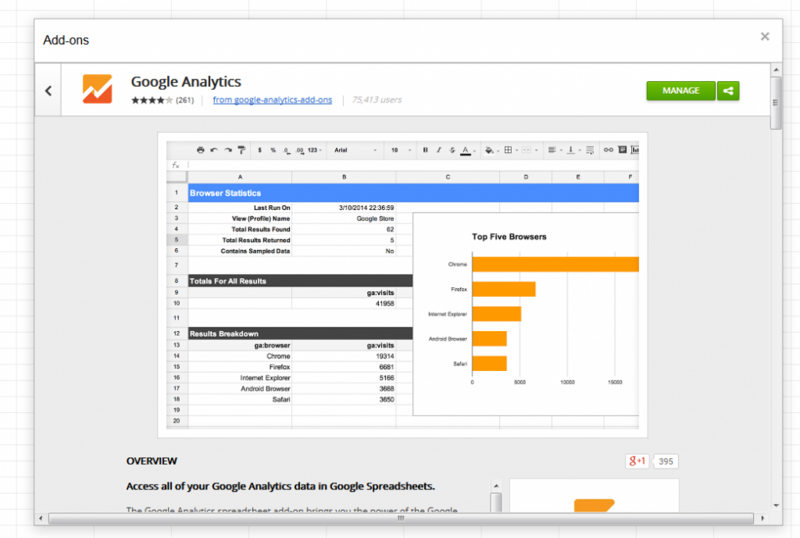 Want to export specific data points from Google Analytics to Excel? Need to setup scheduled Analytics reports? How about running reports for multiple websites all at the same time? With Google Sheets you can get the Google Analytics Add-on and setup and run your own customized reports pulling almost any data point you need. 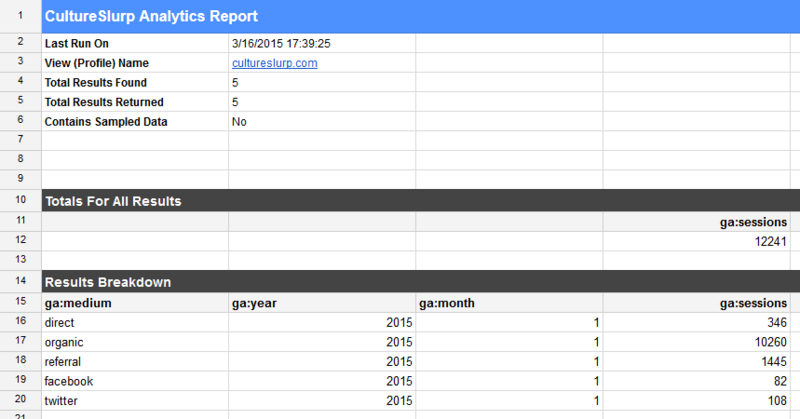 Once you have setup your report, you can then schedule it and start automating your Analytics reports. 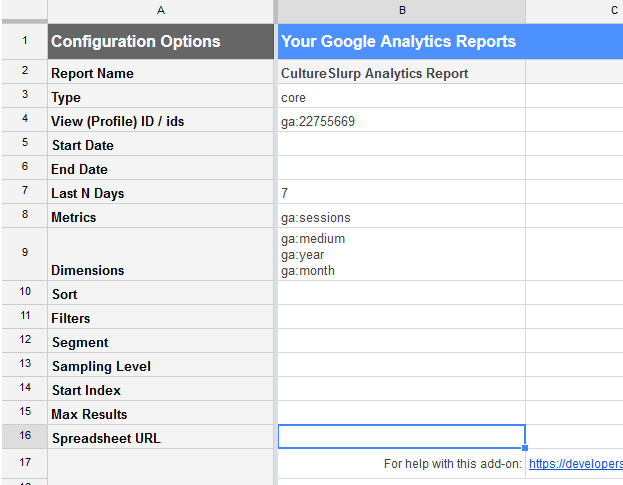 The following is a step-by-step guide to configure the Google Analytics Add-on with Google Spreadsheets. Go to your Google Spreadsheet and click on “Add-ons” on the navigation at the top. Search for Google Analytics and install it. Click on “Add-ons” > “Google Analytics” > “Create new report” and then allow the request for permission it will ask for. Once you accept, you will see a new right-side panel appear where you can 1) Name Your Report 2) Select Account Information and 3) Choose Metrics and Dimensions. For the time dimension, you can look back by a number of days (“Last N days”) or use a specific data range with the “Start Date” and “End Date” if you want to look at a month. Once you have your report configured, you simply need to go to “Add-ons” > “Google Analytics” > “Run report”. This will generate a new sheet populated with your raw data (below) organized neatly by your dimensions and metrics. Now, you can easily be export this data to Excel and manipulate with pivot tables. Now that you have your report configuration defined, you can schedule the report to run automatically (“Add-ons” > “Google Analytics” > “Schedule Reports”) on an hourly, daily, weekly, or monthly basis.